Here in the midwest, there are so many opportunities to escape the hustle and bustle of everyday life — from camping to glamping and quaint inns to luxury hotels. Whether you just need to hit a trail for an afternoon or get out of the state for a weekend retreat, there’s something that fits every budget and schedule. That’s just one of the reasons we love Nebraska! On top of that, we don’t think romantic weekends need to be reserved for Valentine’s Day, anniversaries or birthdays. Check your schedule, book your stay and take advantage of the diverse options near Omaha. Get out of the house this year for an adventure you’ll never forget! Make it a staycation at one of Omaha’s most luxurious and historic destinations. Originally known as the Offutt House, the building has become a focal point of the Gold Coast District and, as such, features relics of Omaha’s wealthy population at the turn of the century. Take the opportunity to get out of the house without leaving the city and you might even be inspired to explore some of Omaha’s best sights and destinations. Slattery Vintage Estates merges an intimate concert experience, a luxury tasting room and a glamping experience you’ll never forget. That’s right, glamping. 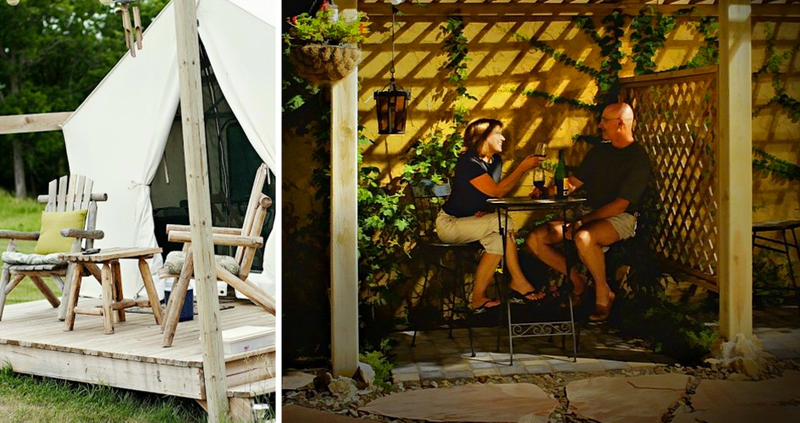 Mix glamor and camping in a 12 by 14-foot tent atop a private deck with a porch overlooking the picturesque vineyard. Inside, you’ll find full-size beds, dressers with mirrors, coffee service, tables and chairs, rugs and soft bedding. The tents are fully electric with lamps, lanterns, fans and heaters. Lied Lodge has been the Omaha area destination for luxury getaways for many decades. 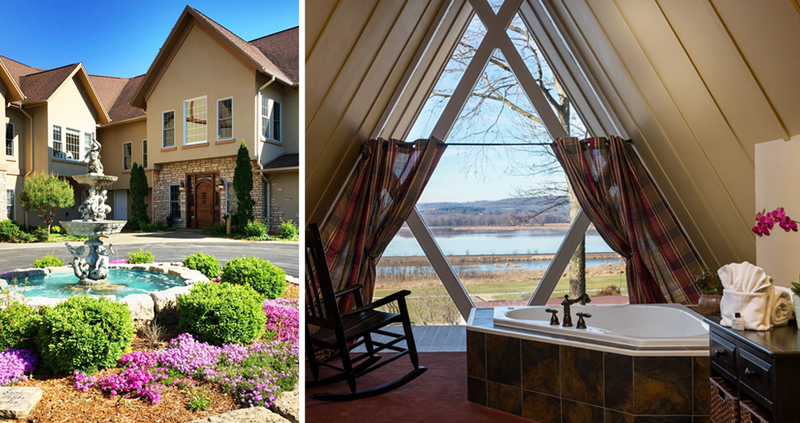 Surrounded by lodge furnishings and log decor, you can grab a drink in the Library Lounge, dine outside on the Sunset Terrace, take a stroll through Arbor Day Farm’s Historic Barns and treat yourselves in the Lied Lodge Spa. 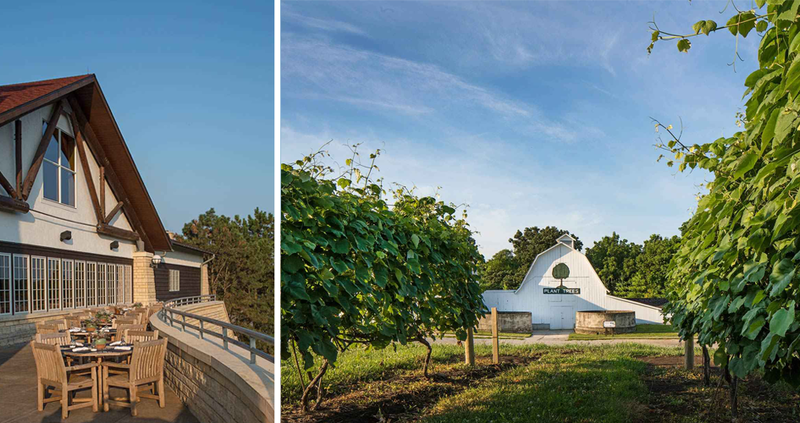 Cross the border into Iowa and make the short drive to Pammel State Park. 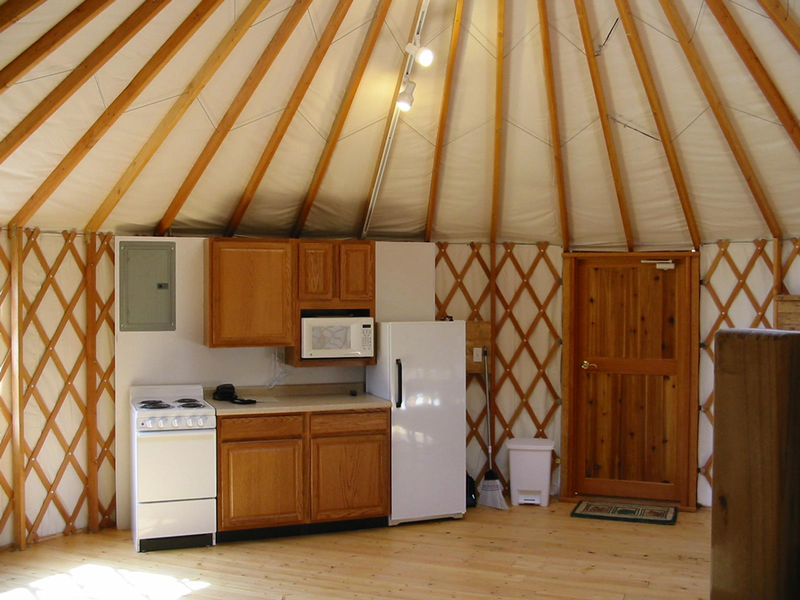 There, you’ll find plenty of traditional camping options, but we suggest renting a Yurt Cabin! Open from April through October, you can stay inside the 450 square foot building complete with electricity, heat, air conditioning, a kitchenette, dining table and an outdoor hydrant and wash pit for rinsing dishes. For this camp experience, you’ll want to bring your own food, bedding and cooking tools. Make your dinner together then dine by starlight on the elevated deck where you’ll find a picnic table and hooded grill. 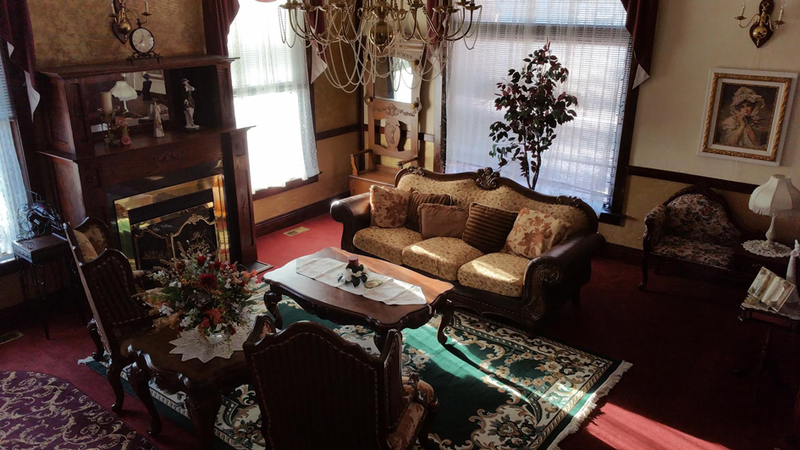 Reminiscent of hotels from the early 1900s, the Historic Argo was built in 1912 to serve the railroad traffic of the time. Today, the hotel has been restored back to its former grandeur with Victorian-style rooms, vintage, period decor and modern amenities. All the suites offer sitting areas and most even have Jacuzzi tubs and full living rooms or balconies. After a relaxing night’s sleep, enjoy a hot, complimentary breakfast in the morning. And while you’re there, don’t miss the garden level speakeasy! What’s more romantic than a city named Valentine? Stay in a country environment where you’ll find a unique, private refuge to escape the bustle of everyday life. With no routine, no pressure and no hurry, you’ll be able to wind down and appreciate the views from the deck of your own, private cabin. During the day you have the chance to canoe or kayak on the Niobrara River, sightsee on trails throughout the valley or fish in one of five private fishing ponds. The Outpost Cabins and charming Yurts at Lake of the Ozarks State Park are worth the drive. Nestled in the heart of the park, the Outpost offers eight rustic log cabins for campers who want to experience the outdoors without pitching a tent. Upgraded in 2011, each cabin features a wood-burning stove, electricity, a ceiling fan and lighting, air conditioning, supplemental heating, a small refrigerator, a microwave and sleeping accommodations for six people. The Yurts are circular structures with fabric covers. With three large windows, a locking door, a wraparound deck and a dome skylight, you can immerse yourself in nature in a glamorous setting. Bring all the normal camping equipment, cook your own meals, settle down around the fire and sleep on log furniture. For a longer drive and the most luxurious experience on our list, stay at Illinois’ Goldmoor Inn along the Mississippi River. Located on a hill overlooking the water, you can indulge at the spa, in whirlpool suites and relax at private fireplaces. While you’re visiting, order a private, in-room gourmet breakfast and celebrate with a romantic evening of dining — an experience all its own. Stay in a plush cabin, romantic suite or charming cottage and you’re guaranteed an unforgettable experience. Where do you get away around the Omaha area? The midwest offers plenty of opportunities to get away, so let us know where your go-to destination is!